It’s strange to be here with palm trees and Christmas decorations. 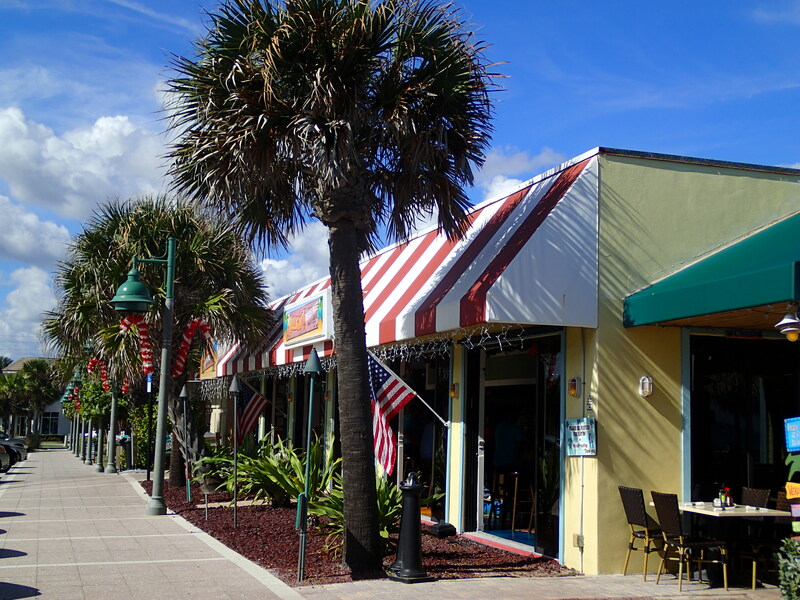 Vero has a great seaside downtown and also an old town on the mainland. It also has lots of shopping and even an outlet mall that can be reached via the free bus. There is also a large city park that has a performing arts theater and art museum. There is something always going on here in Vero. Palm trees decorated with candy canes for Christmas here in Vero! 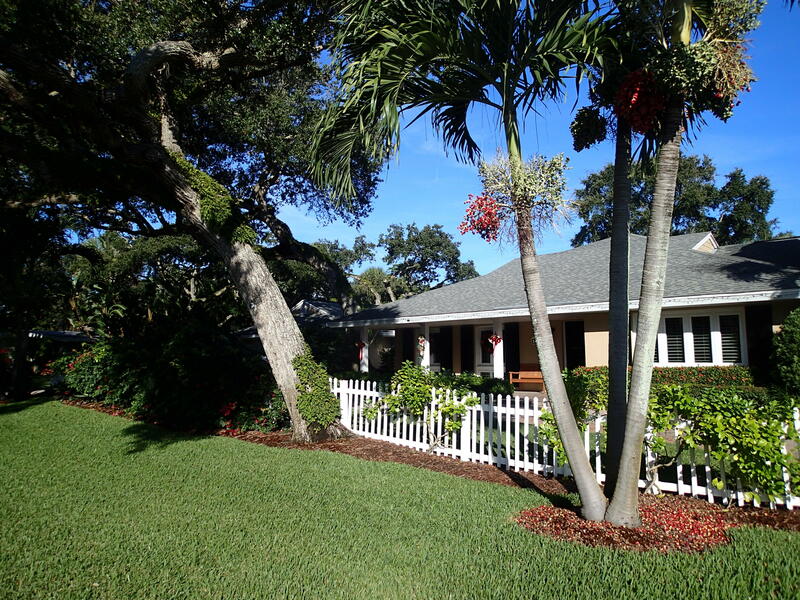 House decorated for Christmas with the Christmas Palms starting to show their red berries!